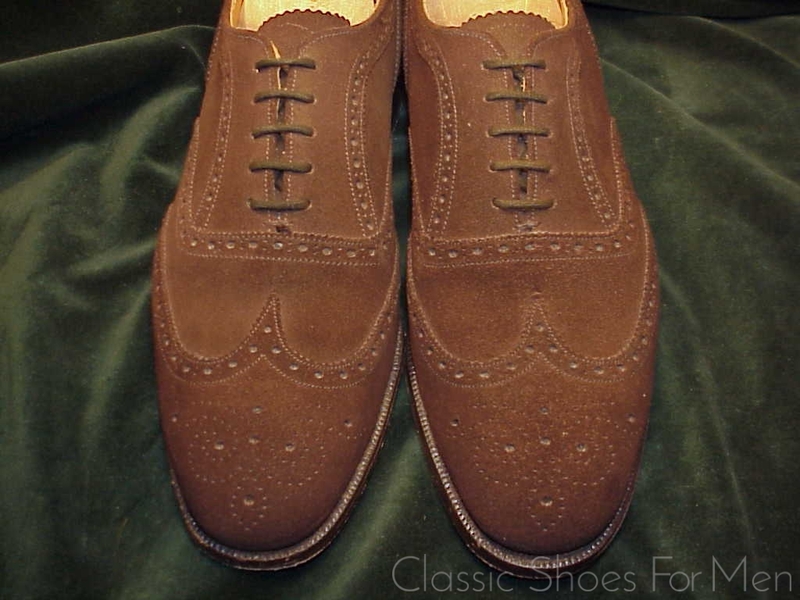 Church’s Brown Cape Buck Suede Oxford Brogue is one of the greatest English classic shoes and sets the standard for all others of the type. 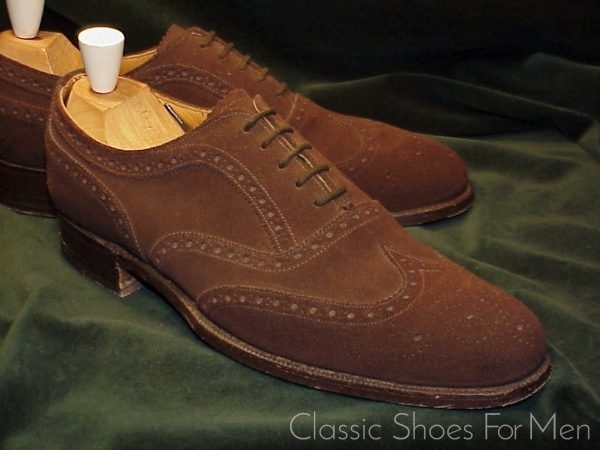 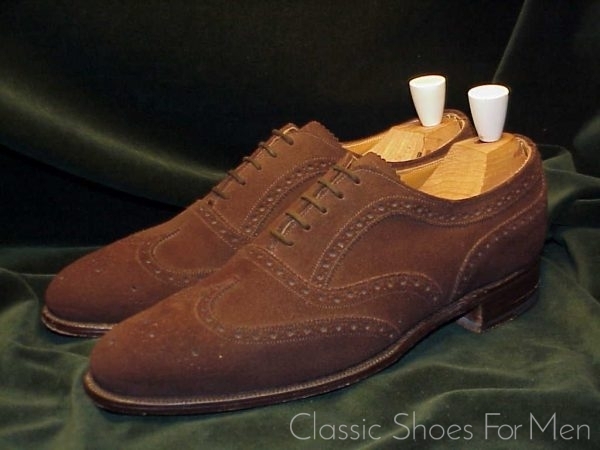 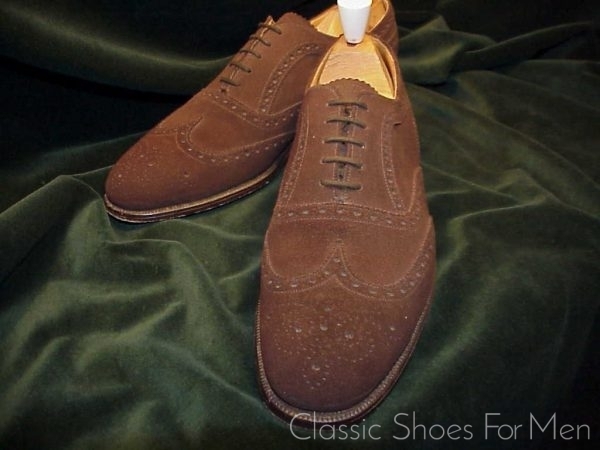 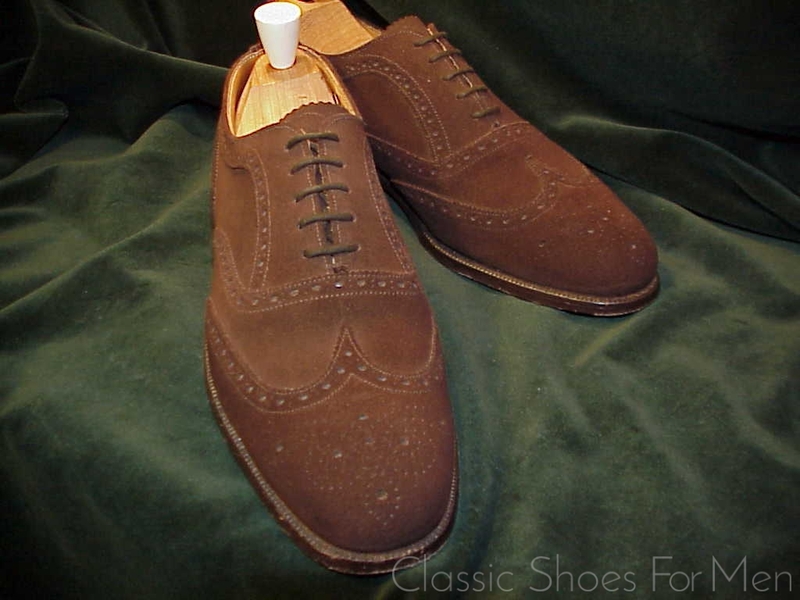 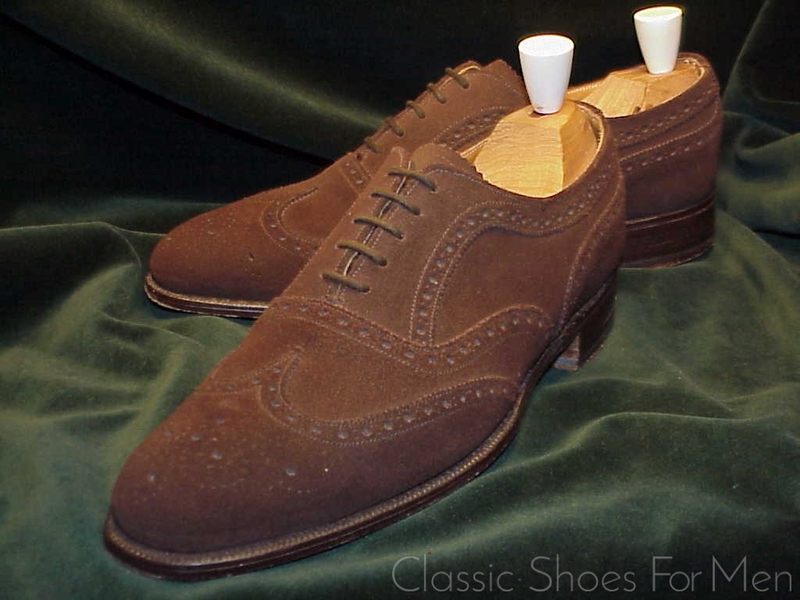 Every good shoemaker offers a brown suede full brogue but let there be no doubt, Church’s Suede Oxford sets and has set the standard for suede shoes for 50 years. 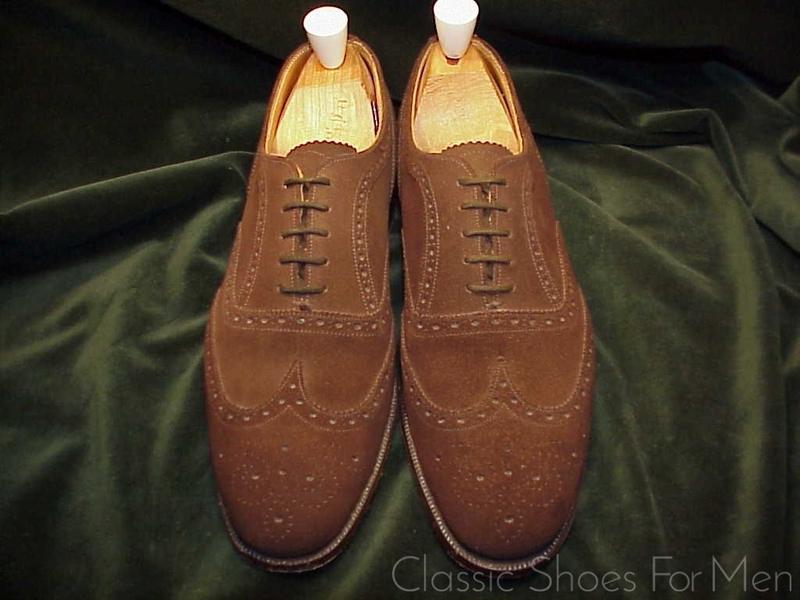 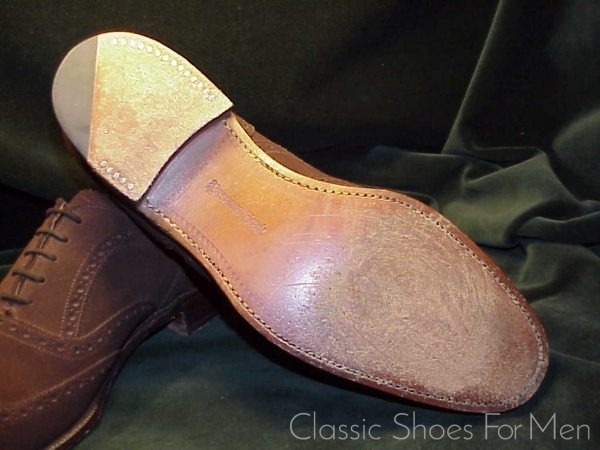 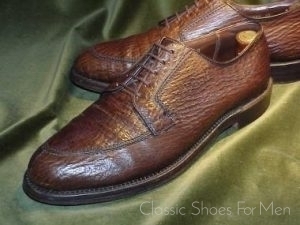 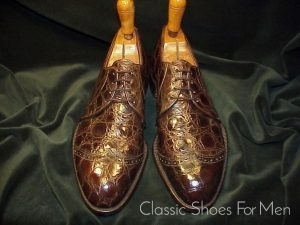 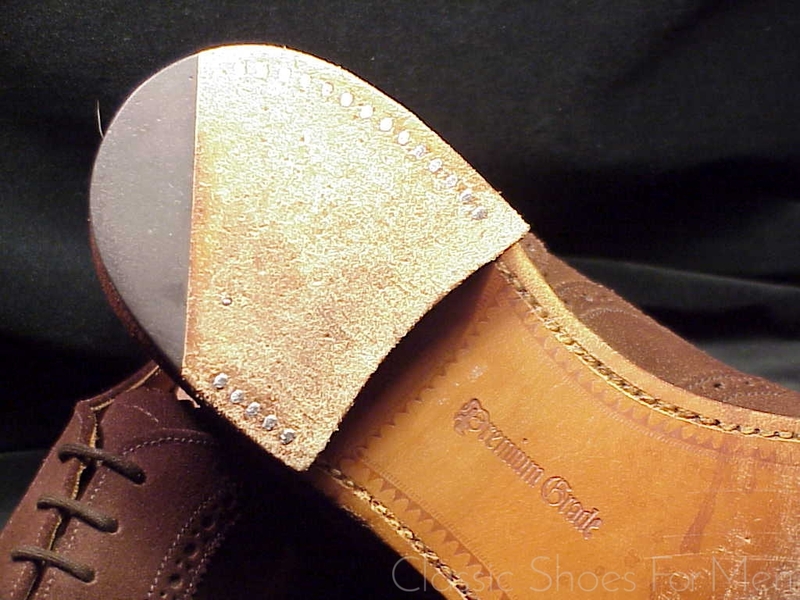 It is one of the perhaps dozen basic gentleman’s shoes and tremendously versatile. 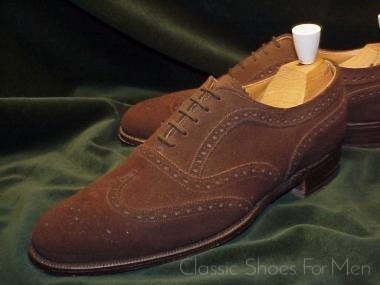 I believe no wardrobe is complete without this model. 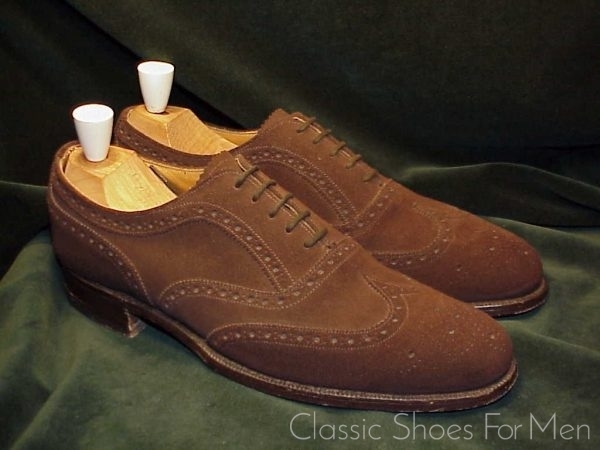 Both dressy and relaxed and quite commonly seen in London’s financial district, the “City”, the Brown Suede Oxford is absolutely correct for daytime business wear, pin or chalk-stripe suit, gray flannels and indeed the obvious, with all the possible country earth-tones. 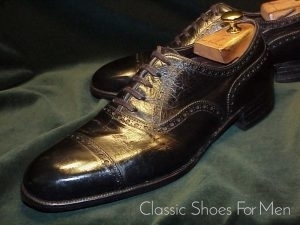 Opinions vary, of course, and for the timid, or those first seeking entrance to the “Square Mile”, black may be the safer choice for business. For others, what is good enough for the late Prince of Wales and the late lamented Fred Astaire, may well be good enough. 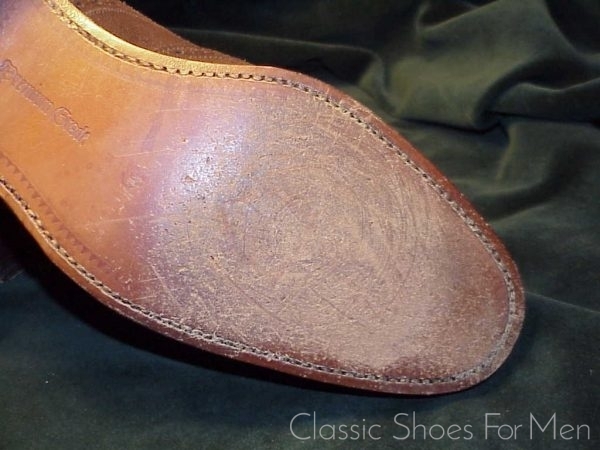 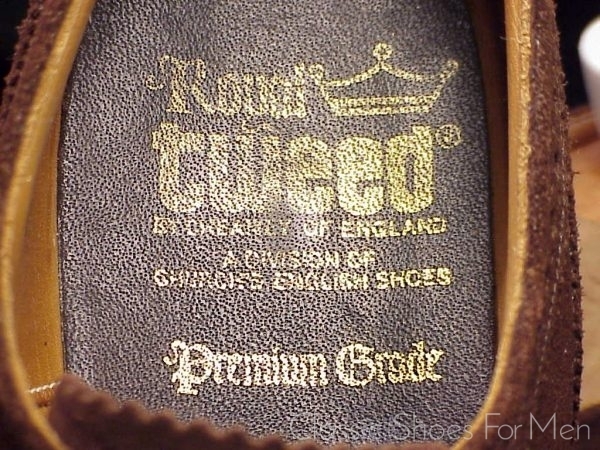 Finally, I find my Suede shoes improve with age and weathering; they become more handsome with a few years and miles on them and are simple to maintain; just wait until dry and brush and wear! 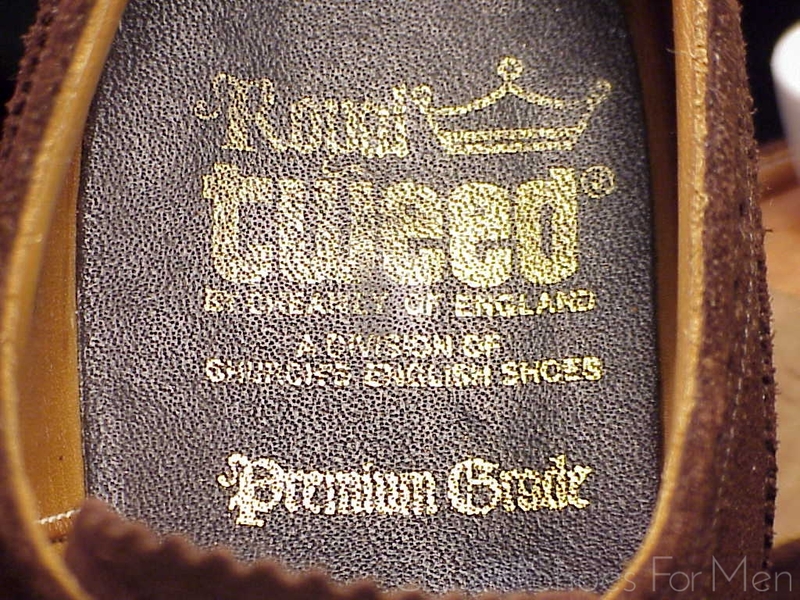 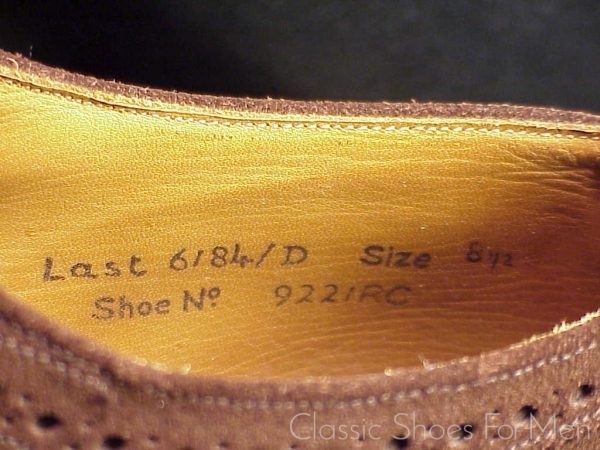 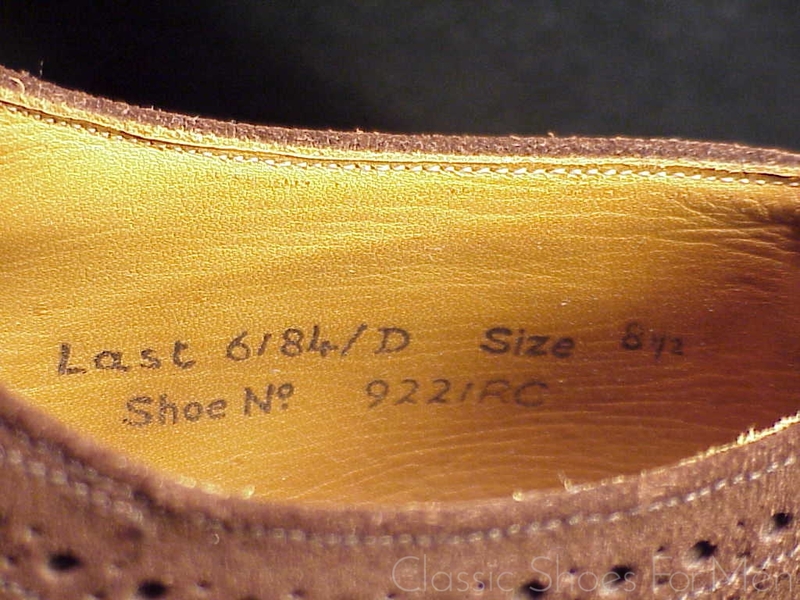 US 8.5D, UK 7.5E and a continental 41.5D, correct for the medium width foot. 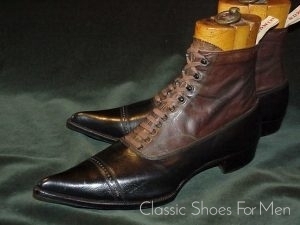 Extra Fine, all original and lightly worn...like new!